Smart home speakers are the next best invention since the arrival of airplanes. They make life easier, more comfortable and better for us. And the market is sensing this impact and acting accordingly. 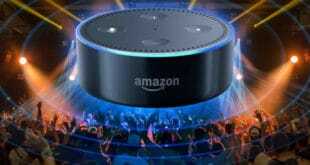 That is why today you have got a string of smart home speakers. And the choices just keep on getting more affordable and customized. You finally have an array of options to choose from. And the latest addition happens to be the Google Home Speaker. Some of your friends have used it already. The reviews have been promising until now. But you need to try it yourself for knowing how suitable it is for your home. That is the only review that matters. But till that happens, you can just read the online guides and reviews to get a better understanding of this home speaker. 1.1 1. Lost Your Phone in the Home Again? 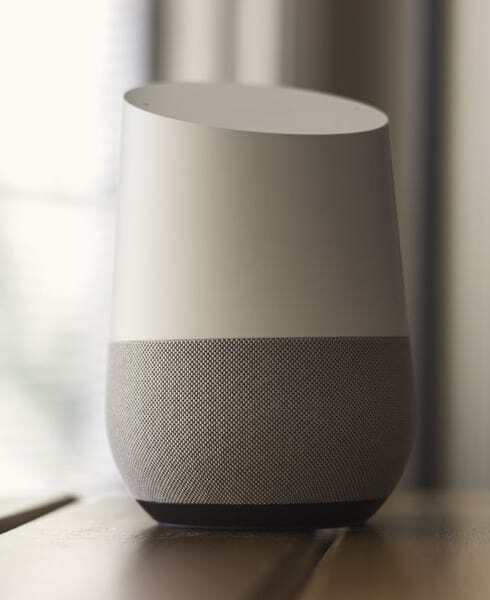 The Google Home Speaker has not launched that long ago. And that makes us all the more curious about its performance and applications. You will find the user interface quite a user- friendly. And that is saying something when you have been burned before with the home speakers that either doesn’t respond to your accent or the command format. In that department, you will find the Google Home Speaker to be exceptionally helpful. The brilliance and simplicity with which the Google Search option is able to figure out all your intended queries have been replicated for the Google Home Speaker too. And, a lot of other features have also been incorporated in it to make your day go all the more smoothly. Let us see how many of them are actually useful to you. 1. Lost Your Phone in the Home Again? Today, we lose our phones like we lose our focus. And that is all time! But thanks to the ‘Find my Phone’ feature of the Google Home Speaker, you will never have to worry about misplacing your phone at least. This feature has been designed to give you the easiest option to find your missing phone quickly. It is voice-related and that features enable it to find the right phone for every member of the family. When we turn our phone on silent, it is usually a bit harder to find them in the entire home. But, the Google Home Speaker makes it ring even if it has put on the silent mode. So, you just need to ring it up using this virtual assistant and you will have your phone back in no time. It gets really annoying when you are all dressed up and ready to go. But your phone decides to play hide and seek with you at the wrong time. You keep on seeking but if it is set in the ‘Do Not Disturb’ mode then it gets really annoying to play along as you see the time flying by. At that time, you just need your phone to be back in your pocket right that instant. 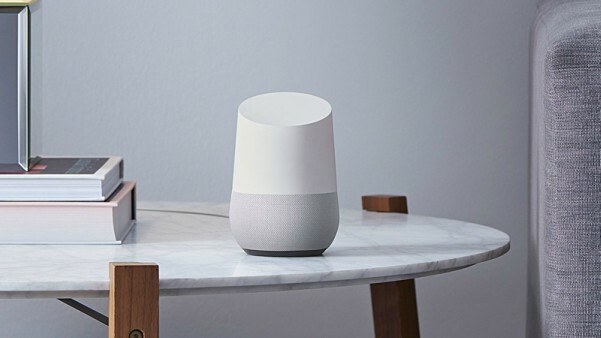 Well, the Google home speaker can do the seeking for you and you will realize that how much time you actually used to waste before just seeking it without any proper navigation. Now, no matter where you placed it and forget it by mistake within your home. You can just let the Google Home speaker know and you will be on your way! Start with downloading the Home app from the Play Store or the Apple Store. Right now, you only get the Home app for the Android and Apple smartphones. So, you can just go ahead and download this free app. Then, you need to check the Wi-Fi connections. Make sure your phone and the Home Speaker are connected to the same network. Now, plug in the home speaker.After this, open the app. Do the initial formality of accepting the standard terms and conditions. Let it identify your location. So that the speaker can connect to the closest home devices. This way, the mobile app will be able to connect to the Home speaker. When you see that the connection has been established then do play a test sound to check the connection strength. Select a certain room for your Home speaker in the app. Now, you can log into your most used Google account through the app. This will help you tremendously in syncing up all your Google services with this app. And you won’t have to worry about the upcoming events and updates that keep on popping up at different intervals of time. You can sync with the important services such as the Gmail, Google Assistant, calendar, emails, daily reminders and other similar tasks. You will be notified about all the recent emails, calls and other important information at the earliest so that you can always stay ahead of the game. Then there is YouTube, Google search and other helpful and entertaining services that can also be synced up to your Home account. This way, you will face no trouble while trying to get a quick update of all the new things that happened today quickly. You can know more about them by just letting the Home speaker know and play it out for you. 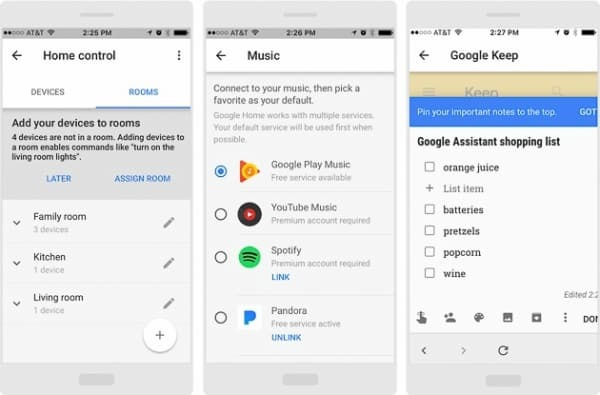 You can control all the Google-supported audio devices in your home present in different rooms. You just need to configure a bit with the help of the Home Speaker. And then you can perform a variety of activities with its help including paying songs and getting updates swiftly. This way you will be able to network all the supported devices together. You can use this feature to connect the Chromecast Audio, Google Home Speaker or even the Cast-enabled speaker together. And they can be more than one in number too. You just need to log in to your Google account. And make sure that they are on the same wireless network. Then, you can assign each one of them a proper place in the network on your smart app. Sync them up together and perform all the tasks from there onwards in a streamlined manner. We appreciate it when people just guess our mood. And we don’t have to spell it out for them. Well, till that happens, you can at least control the smart lights in your home without having to control the setting of each one of them individually. Just say the magic word and the smart light will guess the rest of it for you. You can let your voice give crisp commands to change the intensity and other features of the smart lights present all over your place. You can turn them on and off even when you are not in the room. Save energy and your hard earned money by enabling the energy saver feature. And get instant alerts about a light you forgot to switch off when you left the room or rooms. You get that control back in your life with the help of the Google Home speaker, at least when it comes to the smart lights. It could not be any simpler to connect the Home Speaker with your smart light systems. Just open the Home App. Then click on the Menu. Now tap on the ‘+’ sign to add a new device to the network of your smart home app. You will instantly get a list of the available compatible devices. Just pair up the ones you want to and you are almost done. Now, open the smart lights app/hub and click on the ‘Link’ option. After this tap on the ‘Assign Room’ option. After this, the lights will get conveniently paired with the Home Speaker. You can also assign totally new names to the lights on your Home App. And create different scenes/rooms for the collection of lights that you want to manage together. Now, just sit back and let the lights and agreeable lighting throughout your home do the talking. Shopping can be fun if you don’t have to drag that heavy cart from aisle to aisle. You can just sit comfortably on your couch and wonder what do you want today. From the grocery store and from life! As far as the grocery list is concerned, you can just let the Home Speaker take care of it. You just need to tell it the name of the item you want at the moment. It will note it down and do an intensive research on the price and location of the item. Once it finds a suitable option, it will let you know all the details about it and ask you if you need it to proceed further. Depending on your intake you can add to the shopping list and eventually buy it with rest of the items in few moments. Or, you can ask Google to save it for later and move on to other items that you can still recall and need to be jotted down instantly. You just need to enter your delivery address and payment details so that the items can arrive at the right place without any payment hassles. And you can easily add these details by opening the Home Speaker Menu. Click on ‘More’ and then tap on the ‘Payments’ option. Here, enter your card details and the billing address. This service is available with over 50+ Google Express retailers at the moment. And this number is constantly growing since its initial release. Now, you get a lot more options to choose from and that allows you to save more and still shop better right from your home! It is always better to share. And Google knows it better than all of us! That is why it has come up with the support feature for over 6 members with every Home speaker. This member can be your friends, family or any other trusted acquaintances who you want to include in your Home Speaker network. All these members can sync up their individual Google accounts with the Home Speaker if they would like it. This way, each person will get a customized experience according to their current details and preferences. Google can also identify the different voices and respond accordingly so that you don’t have to correct it as users change. This way, you can be able to know the schedules of the different members of your family. And that will give you the opportunity to do things like a family outing or a quick trip to the mall in a hassle-free manner. A home speaker will make sure that all the activities are carried out while keeping the previous engagements in mind. Everyone can have their very own playlist for the gym, the commute and even the reading time. You will get a proper update on the traffic details outside and the total commute time. And you can also get these details for the other member of the database and know how late they are going to be. This is an efficient way to stay connected with your family and friends when they are with you and even when they are away. You get insightful details about preferences of each other. And this is going to help you in planning different activities together. This way, you will also be saving a ton of money. Since you will not have to buy individual Home speakers for everyone in your family/group. You can now improve the utility of this appliance and make sure that all your near and dear ones can benefits from it just like you do! If you are a bit creative and technically sound then you can easily extend the applicability of your virtual assistant. You just need to get a bit if IFTTT knowledge, make your account on its portal. And, you can easily start whipping IFTTT recipes in no time. Since the Google Home Speaker is launched only a couple of years back hence there are still not as many third-party compatible apps available apps available for it at the moment. 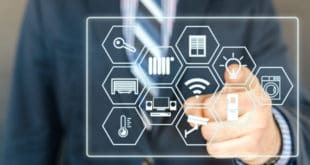 But all the smart appliances present at your home can still benefit from being connected to it if you just know a way. 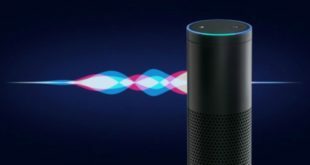 That way can be the self-created IFTTT snippets that will easily connect your Home speaker to each and every device you want in the network. You can do so by creating customized commands too. These commands can be short and crisp and will act as the secret language between you and your Home Speaker. Post the latest status on your Facebook or Twitter account and let the people know what you are up to. You can do so just by your voice commands too with the help of the suitable IFTTT recipe. And anyone with even any remote technical know-how can create these snippets without much trouble. You can use this option to bring tour whole home together. If you have got an app already then it is all good. Else you can just create a quick snippet and connect your old new devices with the Home Speaker in no time. Control your TV, music system and every other aspect of your home without ever worrying in the slightest about anything. Having a good night sleep is the drill when you are young and carefree. But as you grow older, your sleep tends to suffer. And then the time arrives when no matter if you have been asleep for the past 24 hours but you still feel wide awake. This usually happens if you are stressed or just on a bad sleeping cycle. Luckily, there is already a tried and tested a harmless cure for it. And that is the White noise machine. But in the smartphone age, you don’t need to buy it additionally. You can just get the option to your Google Home Speaker now. Say ‘Google help me relax’ and you will be able to listen to a relaxing collection in no time. You can also ask it to play a specific music and it will happily oblige. You just need to speak your mind and the Home speaker will provide you with the right selection in no time. The relaxing, nature, water, running water and outdoor are some of the many categories from which you can choose the relaxing white noise of your choice. You also have access to the babbling brook, oscillating fan, fireplace and forest collections with the Google Home speaker. Then there is the country, ocean, rain, river, and thunderstorm for those who have a bit unique preferences when it comes to this service. You can also try them out sometime and thus make your white noise playlist all the more interesting. Soon you will get plenty of third-party apps to choose from. And make this entire experience all the more comfortable for you. But, till then you have a lot of option to play around with and have a good night sleep listening too. If you have multiple Home speaker outlets within your house then you will really appreciate this feature. You can use it during different times of the day. And there are a lot of recorded messages available in the Home library already to get the ball rolling for you. The many occasion when you can use this intercom features of the Google Home Speaker is during group activities such a different meal of the day, wake up time and sleep time. You can also use it let everyone know when you will be leaving for movie night. There is the option when you can record a personalized message and let is play for a specific reason. Or, you can add it to the Home library and use it whenever you deem fit even later on. The number of permutations and combinations that you can apply with this thing is limitless. You just need to say ‘broadcast time to wake up’. And it will pick the best possible morning call for this situation for your followed by a cheerful good morning message. You can explore a bit and choose a different morning call if you like too. Same is the case with all the other broadcast activities that you want and can broadcast with the help of this service. The connection if your Home Speaker to the smart TV can be quite simple if you have got the Chromecast. You just need to add it to the Home app network. 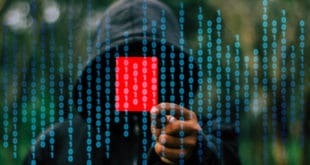 Else, you can also create an IFTTT snippet and make this connection. With the help of this, you will be able to watch all that you usually do but all the more conveniently. The YouTube, Netflix and all other favorite streaming services of yours can become even more accessible with the help of Google Home Speaker. You can turn it on and off, play your favorite videos and even live stream your security camera feeds on it quite easily. The familiarity and the freshness of the Google Home speaker may or may not appeal to you. But, it is surely worth a try. 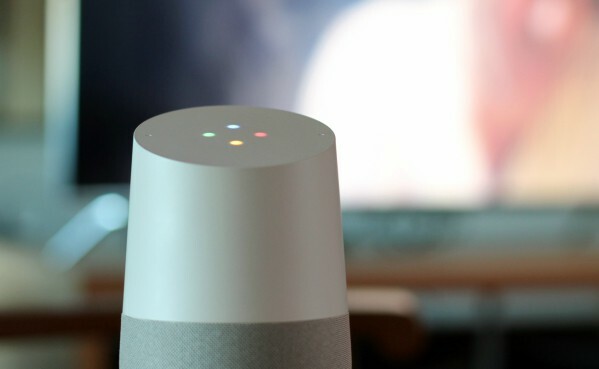 The rapidly expanding Google and Android universe collide in it and you get the most user-friendly Voice control throughout your home. Have you used the Google Home Speaker until now? Let us know your good and bad experiences in the comment section below. And while you are at it, let us know what do you want to read about next! Previous Virtual Assistants: Time To Make Your Home And Life Smarter!